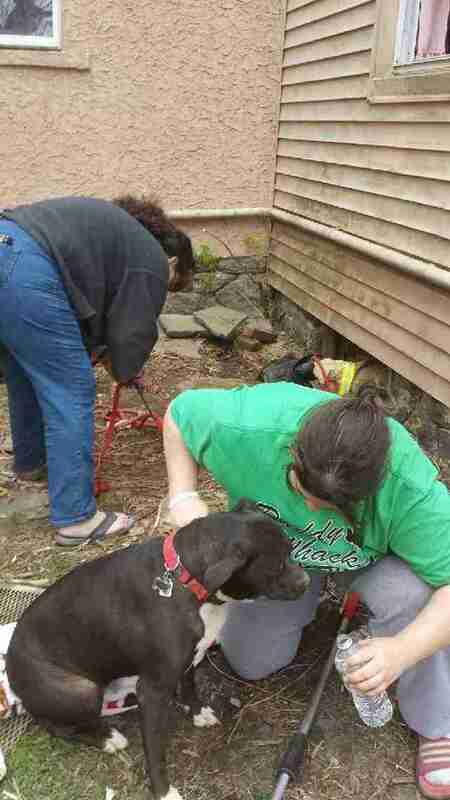 She calmed down as soon as she realized she was being rescued. Leela was outside playing one day when she saw a groundhog and started to chase him. 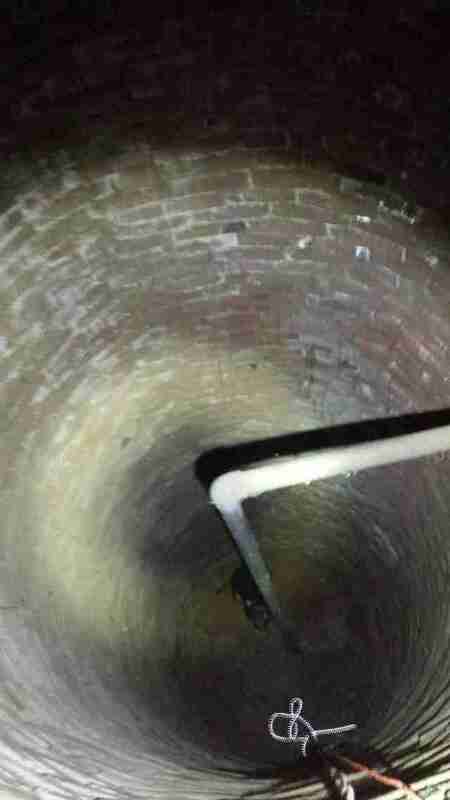 He crawled under her house and so she followed him - and somehow fell down a 30-foot abandoned well that her mom thought had been closed up. 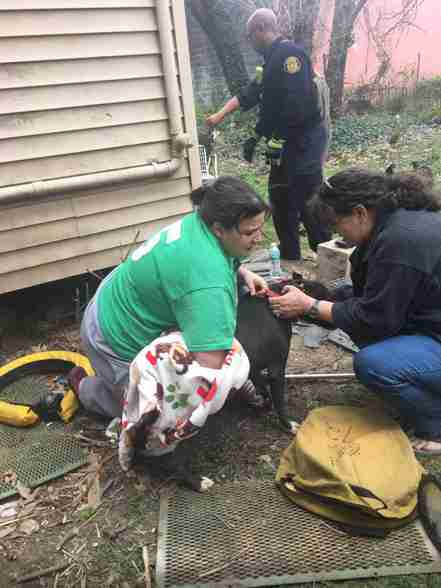 As soon as she realized how stuck she was, Leela's mom, Margaret Moore, called the Animal Care and Control Team of Philadelphia (ACCT Philly) to see if it might be able to help. Staffers responded immediately and came out to assess the situation. 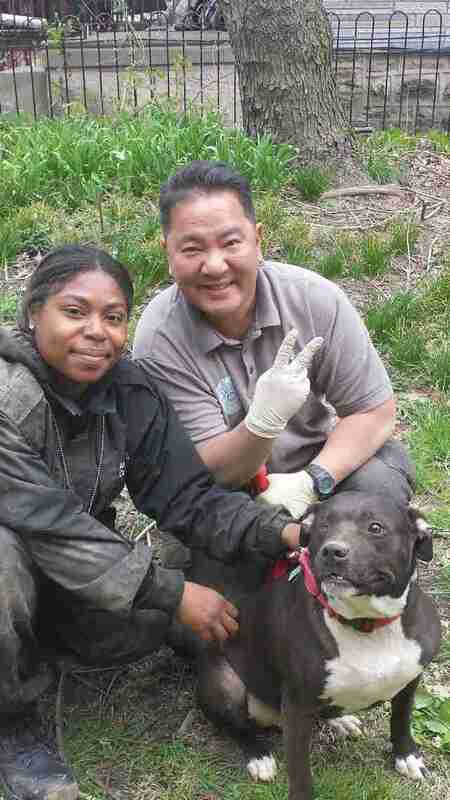 "ACCT Philly received a call about the situation from Leela's owner and we dispatched animal control officers Choi and Davidson to the scene," Ame Dorminy, communications and development specialist at ACCT Philly, told The Dodo. "Officer Choi crawled under the home with a rope and managed to get it around Leela's chest, but when he began to pull her up, the rope broke. At that point, the officers called the Philadelphia Fire Department for assistance." When the fire department arrived, it determined that the easiest way to rescue the 6-year-old pit bull would be to cut a hole in the kitchen floor directly above the well. The rescuers had also brought along a sturdier rope, and through the new hole, they were able to drop the rope down and loop it securely around Leela's chest. Poor Leela was walking circles around the tiny well, desperately trying to find a way out, but when she realized there were people trying to help her, she immediately began to relax. "At first, Leela was panicking and whining, but once she had the rope around her chest, she calmed down," Dorminy said. "Officer Choi said, 'It was almost like she knew she was being rescued.'" Finally, the team of rescuers were able to pull Leela back up from the deep well, and Officer Davidson waited in the crawl space and caught her once she was finally out. Leela was definitely scared and exhausted from the whole ordeal, but ultimately she was just glad to finally be reunited with her mom again. "When she was brought up she was shaken up and sore, but she was happy to be out and wagging her tail," Moore told The Dodo. 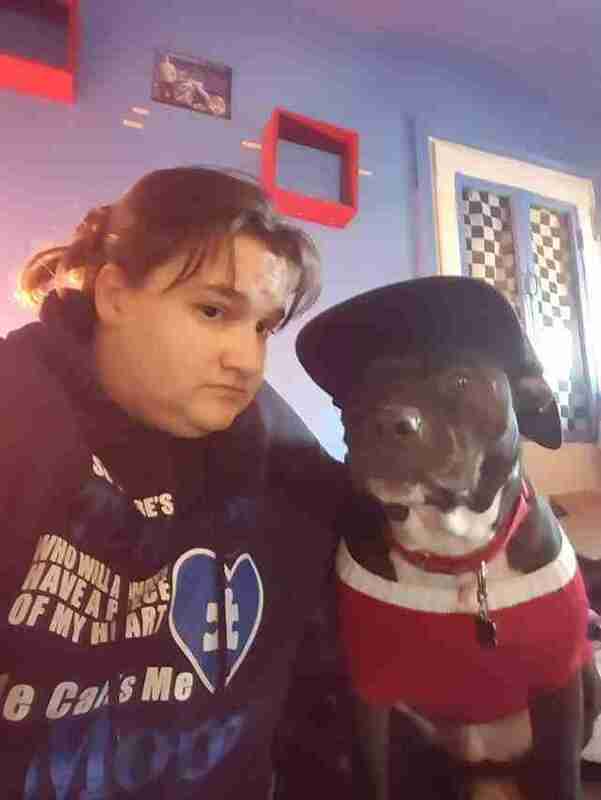 "I took her to the vet the next day and they said she had no broken bones and no internal bleeding." It's very lucky that Leela was able to escape her ordeal with no injuries, and that so many people were able to rally together to help her. She's doing well now back at home with her mom, although she does still have a little lingering anxiety. Hopefully Leela will think twice before chasing groundhogs from now on, and will never have to end up in a situation like that ever again.